1. 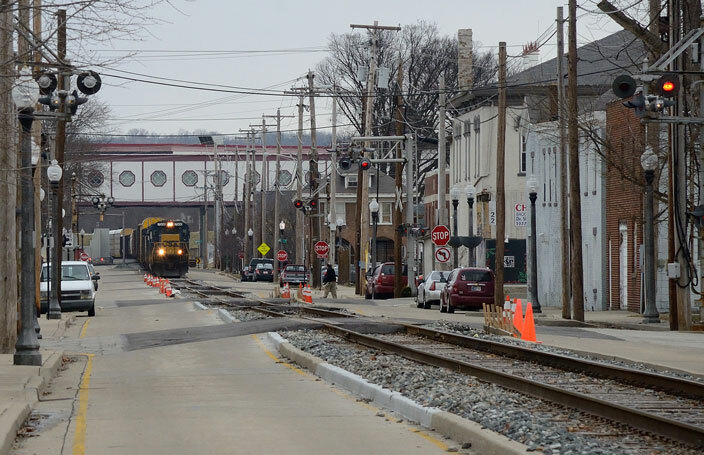 CSX 7508 coming down the middle of the street in Lawrenceburg IN. 2. 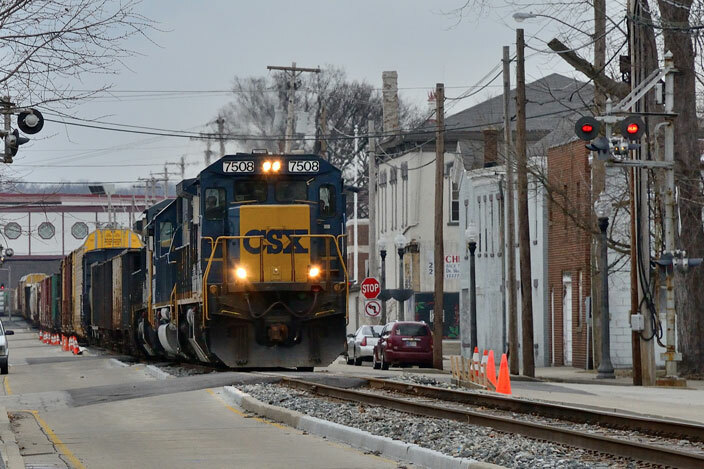 CSX 7508 coming down the middle of the street in Lawrenceburg IN. View 2. 3. 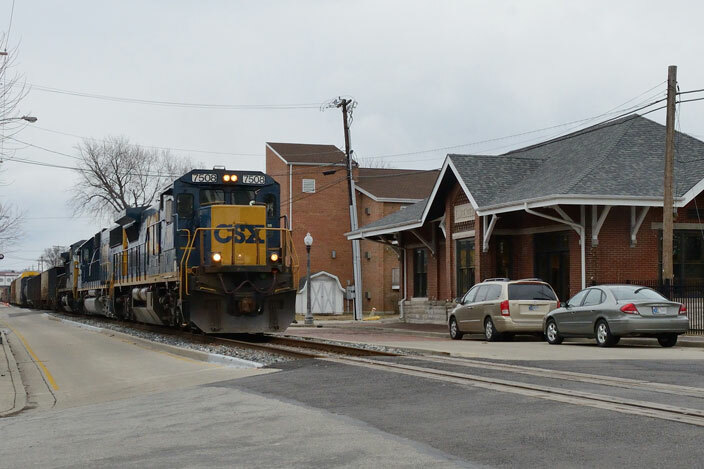 CSX 7508 coming down the middle of the street in Lawrenceburg IN. View 3. 4. 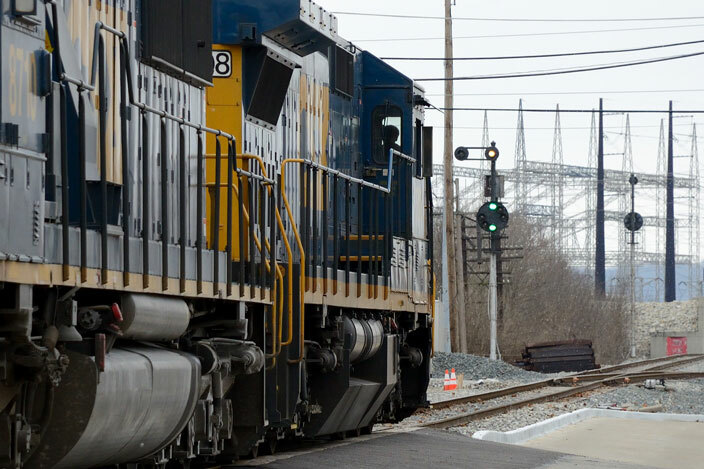 CSX 7508 going down the middle of the street in Lawrenceburg IN. View 4.